In the South of Hong Kong island, Repulse Bay is famous for its white sandy beach. 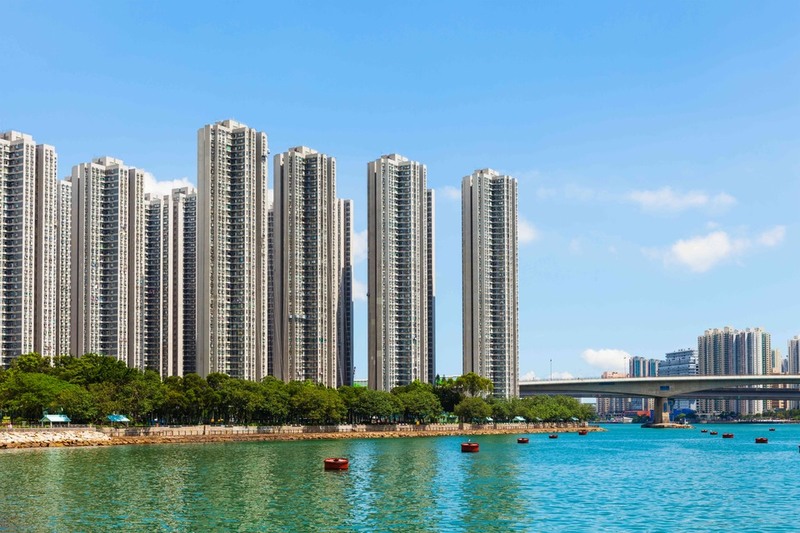 This posh district attracts a lot of expatriate families and many celebrities of Hong Kong have their private estates there. This expensive residential area is one of the city dwellers' favorite places to spend weekends and holidays. 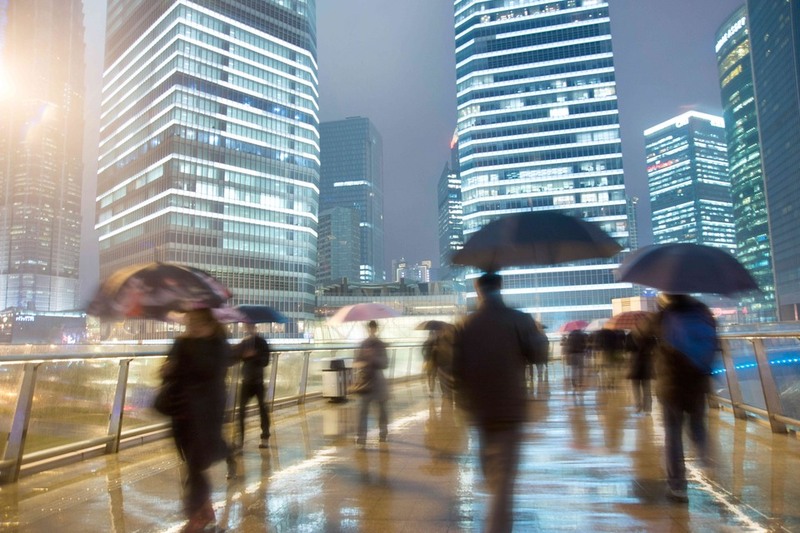 In this neighborhood of choice, which combines skyscrapers and luxury properties, you will enjoy a stunning view on the Bay and on the South China Sea. 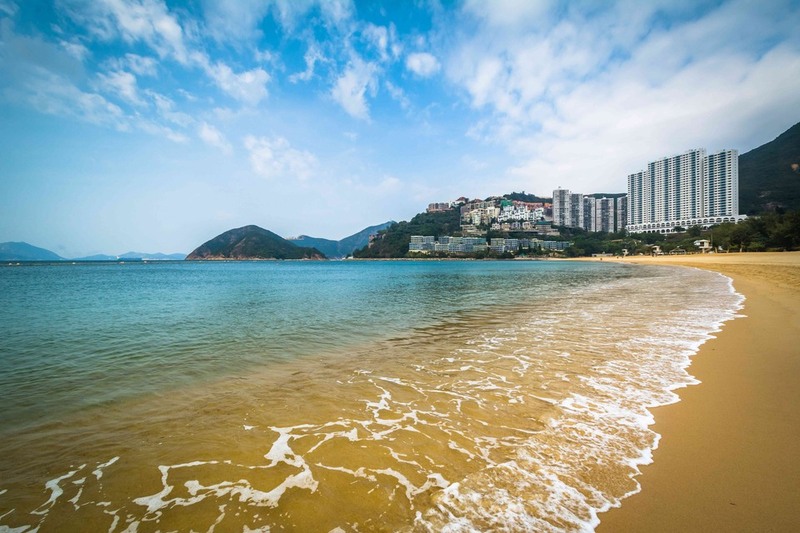 Its wealthy residents have chosen Repulse Bay to live thanks to all its high-end amenities (supermarkets, banks, medical services, trendy restaurants, upscale malls such as The Pulse which is by the beach). Repulse Bay is therefore one of the finest spots to enjoy high quality of life in a peaceful environment with a great view on the ocean. This beach is conductive to relaxation, promenades and sunbath because it is most of the time a sunny place. You can admire the magnificent sunset on Repulse Bay beach too. This white sandy beach attracts both tourists and local people thanks to its extensive facilities (showers, bathrooms, lifeguards, parking spaces, safety shark nets). In the shape of a crescent, it is one of the most beautiful beaches in Hong Kong. The Hong Kong Life Saving Society house on the beach has been built in the pure Chinese tradition, with a ceiling decorated with splendid dragons. Along the beach, the colonial-style Repulse Bay building gathers luxury design boutiques, gastronomic restaurants and sumptuous apartments. 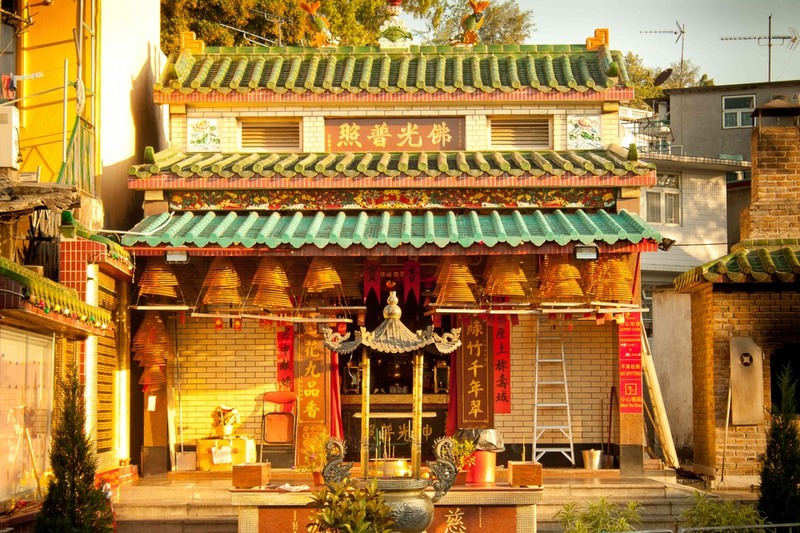 This temple, which is located in Repulse Bay, was built in honour of fishermen' protectors. It is one of the oldest temples in Hong Kong. Huge statues of the Kwun Yum and Tin Hau divinities overhang the charming Chinese gardens which lead to the Repulse Bay beach. The Goddess of the Sea, Tin Hau, is very popular in Hong Kong because she is the protector of fishermen and sailors, who represent a large part of the Hong Kong population. 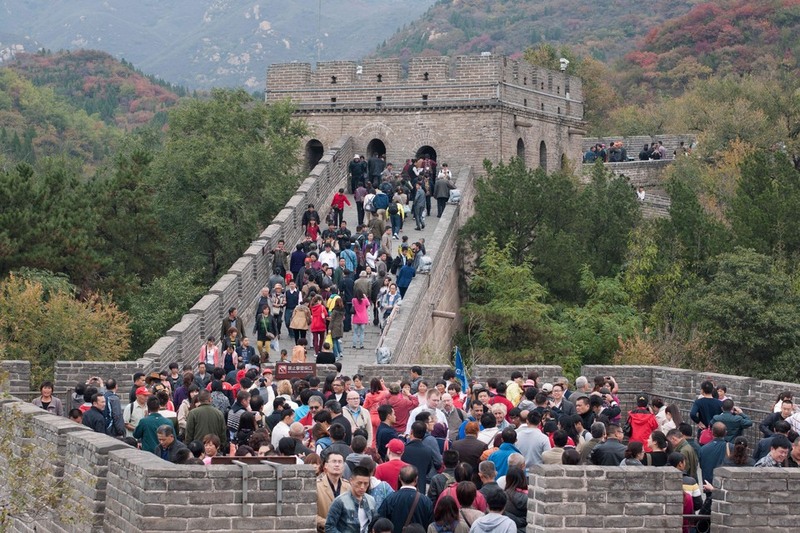 If you cross the Longevity Bridge, the legend says your life will be prolonged for three days. 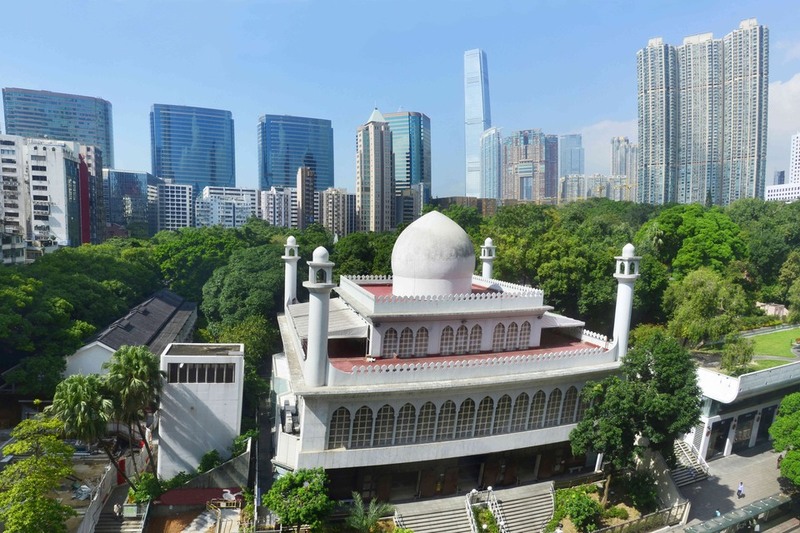 Built in the 19th century by the architect I. M. Kadri, this mosque is the biggest one in Hong Kong and it is situated in the Tsim Sha Tsui district, where a large part of the Pakistani and African communities live. It can welcome 3,000 believers in its various prayer rooms but it also has a library, and a clinic. Thanks to its white marble walls and floor, it has an ethereal aspect.